Assisting you in however you choose to support Concord Hospital’s mission is our goal. Whether it is helping you make a one-time gift, discover the benefits of planned giving, register for one of our special fundraising events or support you in holding your own event — we are committed to meeting your needs. 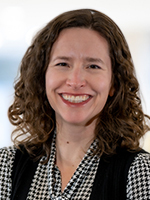 Susan Chase, CFRE Senior Philanthropy Officer ~ Susan joined our team in 2018. As a Senior Philanthropy Officer she oversees the Rock 'N Race and Evening en Blanc benefit events, and works collaboratively with staff and volunteers to raise funds through individual and corporate donations, in support of identified Concord Hospital initiatives. Susan holds a Bachelor of Arts degree in English, and a master's degree in management. If you have questions about special fundraising events, organizing your own special event to benefit Concord Hospital, sponsorship opportunities, or would like to meet to discuss your personal giving, Susan can be reached at (603) 227-7000, ext. 5234. Marci DeCarli, Philanthropy Officer ~ Marci joined our team in 2018. As a Philanthropy Officer she oversees benefit events including the Heart of the Grape Wine Tasting and Pedaling for Payson; while working collectively with staff and volunteers, raising funds through individual and corporate donations, all in support of various Concord Hospital initiatives. Marci holds a Bachelor of Science degree in legal studies and english. If you have any questions, or wish to speak about personal giving, special fundraising events and/or creating your own event to benefit Concord Hospital, Marci can be reached at (603) 227-7000 ext. 3087. 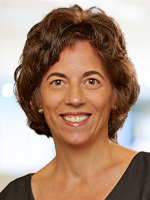 Gail Dexter, CFRE Director of Annual Giving ~ Gail joined our team in 2015. As our Director of Annual Giving she is responsible for giving individuals in the Concord Hospital service area opportunities to support the Hospital, recognizing donors for their support and reporting to our donors what their support has accomplished. Gail holds a Bachelor of Science in psychology/business and a Master of Business Administration. If you have questions about paying tribute to caregivers, special fundraising events or recognition societies, Gail can be reached at (603) 227-7000, ext. 3703. 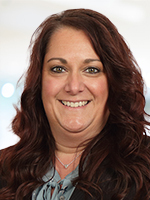 Liz Fay, Database Manager ~ Liz joined our team in 2017. As our Database Manager, she protects and maximizes access and integrity of our data. She also supports many of our staff operations including online event interfaces, reporting, and gift acknowledgments. Liz holds a Bachelor of Science degree in finance. Liz can be reached at (603) 227-7000, ext. 5208. Jessica Lassonde, Trust Associate/Executive Assistant ~ Jessica joined our team in 2016. As our Trust Associate, she is responsible for supporting our work and that of our Board and volunteer committees. Additionally, she oversees our Scholarship Fund and select stewardship activities. She also serves as the Executive Assistant to the Concord Hospital Chief Advancement Officer. 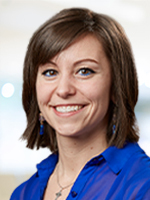 Jessica holds a Bachelor of Arts degree in English and a Master of Education. If you have general questions about us, our Board, or Scholarship Fund, Jessica can be reached at (603) 227-7000, ext. 5209. 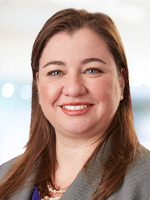 Deanne Pelletier, CFRE Senior Philanthropy Officer ~ Deanne joined our team in 2001. As a Senior Philanthropy Officer she oversees all grant prospect research, proposal writing, submission and follow-up. She also engages directly with business supporters and prospects to involve them further in our work. Deanne holds a Bachelor of Science degree in business administration. If you have questions about grant support, business and organization support, our Benefactors Circle or our Business Partners in Health initiative, Deanne can be reached at (603) 227-7000, ext. 5236. 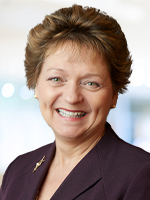 Pamela Puleo, CFRE, FAHP Chief Advancement Officer ~ Pamela established the Hospital’s first broad-based philanthropy program 25 years ago and has been growing the results ever since. Her current focus includes guiding our Board of Trustees, managing our staff, creating and overseeing our strategic and operating plans, directing special projects and ensuring the highest level of stewardship for contributed support. Pamela received a Bachelor of Science in communications, specializing in non-profit public relations, and a master's degree in non-profit leadership. She can be reached at (603) 230-6064.